Shell’s Pioneer rig leaves Dutch Harbor in Oct. 2015. Photo: John Ryan/KUCB. 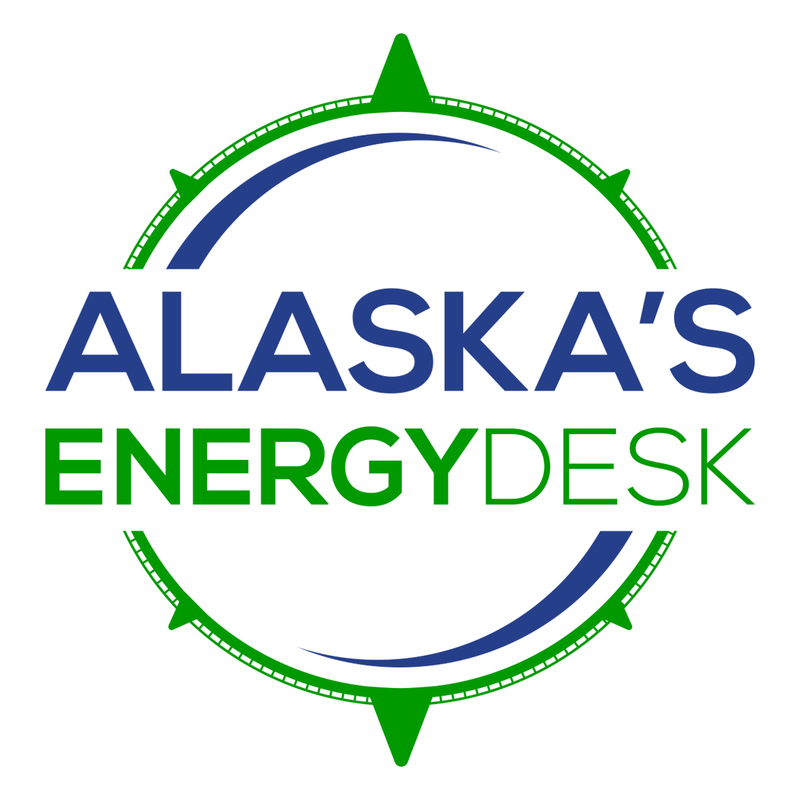 The Obama Administration announced Friday, Oct. 16 that it is canceling plans to open up more of the Arctic Ocean to oil and gas drilling — citing not enough industry interest in the region. The Interior Department won’t auction off drilling rights in the Chukchi and Beaufort Seas in the next two years. The auctions would have been the first in the Arctic Ocean since 2008, and the first under President Obama. 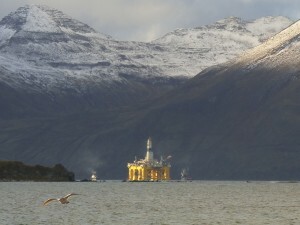 The announcement comes just weeks after Shell suspended its controversial quest to drill in the Arctic Ocean, after disappointing results this summer. The Department also rejected requests from Shell and the Norwegian company Statoil to extend their leases in the region, which will expire by 2020. Governor Bill Walker reacted to the news with frustration. “As we struggle with funding on education and costs of energy, I can’t tell you how disappointed I am in this decision,” he said. The Walker administration had high hopes for offshore drilling, at a time when plunging oil prices and declining production have decimated state revenues. Walker said it’s like that door has been shut in Alaska’s face — and said he’ll work with the congressional delegation to formulate a response. But the Interior Department says there simply isn’t enough industry interest to justify the lease sales. At least nine companies already hold more than 500 active leases in U.S. portions of the Arctic Ocean. But since Shell pulled out, there is only one near-shore project under development – Hilcorp’s Liberty unit. In a written statement, Interior Secretary Sally Jewell cited Shell’s decision, the amount of acreage already leased, and “current market conditions” as reasons to hold off on sales for at least the next year and a half. The Interior Department has not ruled out future lease sales after 2017. And the Department said Shell and Statoil had not laid out specific plans for exploration under their existing leases, a requirement for extending them. Meanwhile, Alaska’s elected officials expressed outrage. Speaking with reporters at the Alaska Federation of Natives Convention in Anchorage, Congressman Don Young said he has a plan. Step 1 is a lawsuit. Step 2 is, essentially, siphon the feds’ oil tank in the Arctic. KBBI’s Daysha Eaton contributed to this report.